The Crested Butte Mountain Resort in Colorado Springs has a lot to offer. You can pamper yourself and go to the Wildflower Spa in the Grand Lodge Hotel or the Elevation Spa located in the Elevation Hotel. There are plenty of activities to do and many restaurants to satisfy your hunger. Butte 66 offers special in-house salads, barbeque, burgers, and milkshakes. Or you could stop by the WoodStone Grille for an all-you-can-eat buffet and a game of pool. The nightlife is happening as well, and you can use the free bus system to get around town. There is a children’s museum for the kids and some galleries that you can visit for fun and grab a souvenir at. There are also plenty of shops to visit as well. Copper Mountain has all the amenities that you could want such as shopping, dining, and plenty of activities to do. You could go ice skating in the Copper Villages or enjoy some gourmet candy and popcorn. There is also childcare available so you can hit the slopes. There are ski lessons available as well as opportunities to go tubing. To satisfy your appetite, there are plenty of options from street tacos to sushi. There is also plenty of shopping such as Camp Hale Outfitters where you can grab a coffee and some gear. Woodward Copper offers action sports at its best, and you can attend a camp and learn for the pros. The 19,400 square foot Woodward Copper Barn has trampolines, foam pits, skateparks, and indoor ski and snowboard training. The Arapahoe Basin Ski Area has plenty to offer. There is a kids center that is open seven days a week. It has balance beams, obstacle courses, and balance boards to keep kids entertained. You can choose from many shops to pick up some gear or a souvenir. You can get private ski lessons, and there are lessons for the kids. There are also many events to get excited about such as the Rando Races. There are terrain parks as well as the Beavers & The Steep Gullies to give you plenty of challenges on the slopes. There are over 1,800 of skiable terrain at The Breckenridge Ski Resort. You can get skiing or snowboarding lessons to improve your skills or to learn some new ones. The Breckenridge Nordic Center has live music and drinks, or you could explore the Sallie Barber Mine Trail. The Boreas also offers incredible views so be sure to bring your camera. You can go sledding at Carter Park and grab some breakfast at Clint’s Bakery and Amazing Grace. If you want to enjoy a night out on the town, you could head over to Rita’s to grab a drink. There are also free shuttles available so you can explore the whole town. You could even take a fat bike tour or visit the Breckenridge Recreation Center where there is a full gym, climbing wall, hot tubs, and more. Or watch a hockey game at the Stephen C. West Ice Arena. Vail Ski Resort is fun any time of the year, but you will not want to miss Vail Snow Days where there are plenty of free concerts at Ford Park, Après after dark and much more form December 13-16. Vail offers 5,289 of skiable acres, and you can enjoy beautiful views of the Sawatch and Gore mountain ranges that are nothing like anything you’ve seen before. The village offers high-end shops, fine dining, and luxury hotels such as The Sonnenalp and the Four Seasons Resort. Telluride Ski Resort has plenty to see and do. There is plenty of terrain to explore for all abilities, and you can even ride the free gondola. There are over 2,000 acres of skiable terrain, or you could go on a guided snowshoeing adventure. You could also go snow biking or snowmobiling. You could even go heli-skiing or complete their world-class NASTAR course with your family. You will want t visit the Telluride Historical Museum or take a tour of the Wagner Custom Skis Factory. There is also a Telluride Adventure Center where you can enjoy guided tours and where your kids can enjoy one of the many programs while you have a night out. Winter Park Resort has so much to offer. You can go ice skating, tubing down the hill, enjoy live music, and enjoy an authentic Colorado mountaintop dinner or mountaintop après. You can take ski lessons or enjoy a meal at The Sunspot which is a magnificent lodge located 10,700ft atop the Winter Park Mountain and offers panoramic views of the Continental Divide. Beaver Creek Resort offers plenty of opportunities to ski from beginner to advanced skiing levels. You can stay at The Osprey and enjoy time by the pool. Be sure to stop by Market Square where you can go ice skating and be sure to get one of the famous Beaver Creek cookies. There is plenty of things to do at Eldora Mountain Resort. 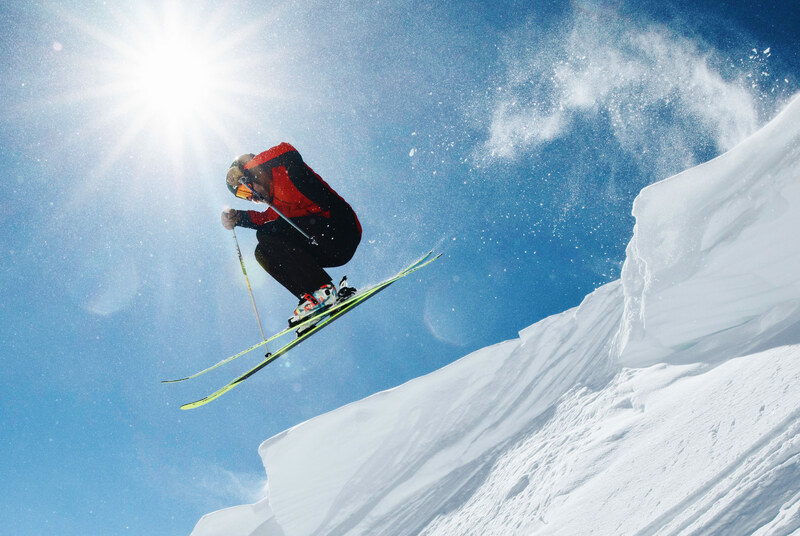 You can learn to ski or challenge yourself on the slopes. There are award-winning restaurants, plenty of lodging options, and craft breweries. You could visit the Nordic Center for all your rental needs or to pick up needed sundries before hitting the trails which consist of over 40 Km that wind through serene forests and meadows. Loveland Ski Area is a winter wonderland of 1,800 acres of terrain to explore. If you want to enjoy some alone time Loveland Child Care is a licensed facility that is a fun place for the kids to play. There’s free snowcat skiing, lesson programs for kids and adults and you can stay in one of the mountain cabins or enjoy a mountaintop meal.